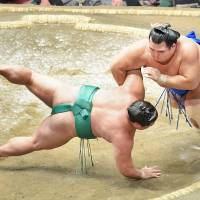 SUMO - Former ozeki Kotoshogiku cruised to his fourth win on Wednesday, the fourth day of the Autumn Grand Sumo Tournament. With three yokozuna and one ozeki having pulled out of the competition, the fourth day of the 15-day tournament at Ryogoku Kokugikan dawned without a single member of sumo’s top four ranks holding an unbeaten 3-0 record. It was the first time that had happened since January 2017. The win by Kotoshogiku, now fighting at the rank of No. 1 maegashira, left him in a five-way tie for the lead. 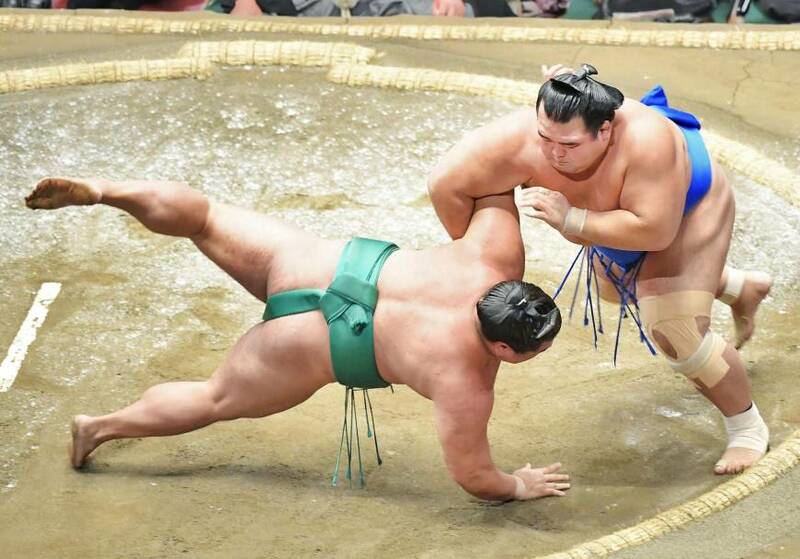 A day after he beat a yokuzuna for the first time in his career as a rank-and-filer, Kotoshogiku calmly absorbed Yoshikaze’s charge and executed a nifty armlock throw to keep the sekiwake winless. It was Kotoshogiku’s 22nd victory against his opponent in 27 career bouts. No. 3 maegashira Onosho also improved to 4-0 when he rocked struggling ozeki Terunofuji back on the initial charge. The smaller and stouter maegashira came in low and at the instant his opponent teetered backward, Onosho pulled him forward and sent the ozeki slamming to the sandy surface. After a 1-5 record in July, Terunofuji (1-3) needs a minimum of eight wins to secure his ozeki status for November’s Kyushu tourney. Ozeki Goeido (3-1), who is also under the gun to post a winning record in Tokyo, got a lukewarm round of applause for his non-confrontational victory over winless No. 1 maegashira Tochinoshin. On the initial charge, Goeido leaped to one side and shoved the overeager Tochinoshin out to his fourth loss. The day ended with Harumafuji (2-2) suffering a second straight defeat. The yokozuna got off to a quick start but instead of a controlled, straight-ahead forceout, second-ranked maegashira Hokutofuji was able to grab Harumafuji’s arm. The two spun around until the yokozuna had his back to the straw and was easily forced out.